The Damned formed in 1976 with Dave Vanian, Captain Sensible, Rat Scabies, and Brian James, all former members of punk-genre groups. When Scabies and James initially decided to strike out on their own, they invited Sid Vicious and Dave Vanian to audition for lead vocalist. 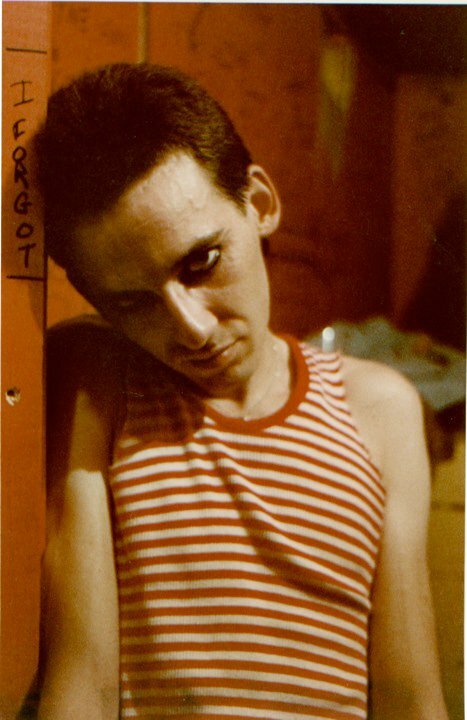 Vanian was the only one to show up, so he got the job. Thus began The Damned, a vital, eclectic, and important influence on the 80’s music scene. The Damned released their first album, Damned Damned Damned, which was coincidentally the first album to be released by a British punk band. Not only was it a first, it garnered some minor hits, and worldwide recognition for the band. A US tour shortly followed (another British punk band ”first”), and The Damned began to set a solid foothold in the highly volatile late 70’s punk rock scene. After recruiting a second guitarist known simply as Lu, the band released a second album which reportedly was not promoted properly and tanked miserably .The band broke up and ended their recording relationship with their label. They tentatively reformed without James, signed on with a different label, experimented with switching roles, and headed back into the studio to try for another successful album release. 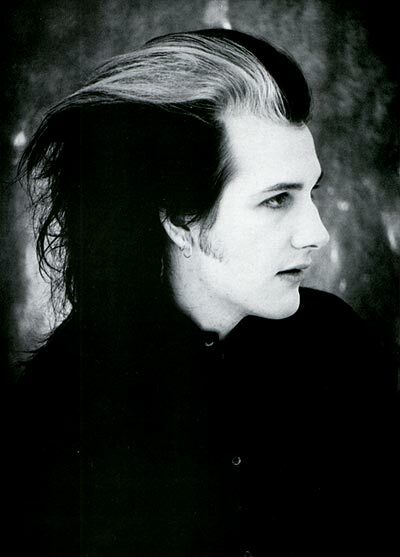 During this phase, Vanian changed from typical punk front man to a more melodic and Gothic flare, giving the band the reputation of being one of the first to give birth to the genre. Ward was replaced by Paul Gray in 1980. After a couple of years and another album and EP release, The Damned added a full-time keyboardist, Roman Jugg, to fill in for Sensible who not only was splitting his time between guitar and keyboards, he was also splitting his time between The Damned and his own solo career. Captain Sensible made the jump to his solo career full time in 1984, leaving Jugg to take over the guitarist spot. Bryn Merrick was also added on Bass. 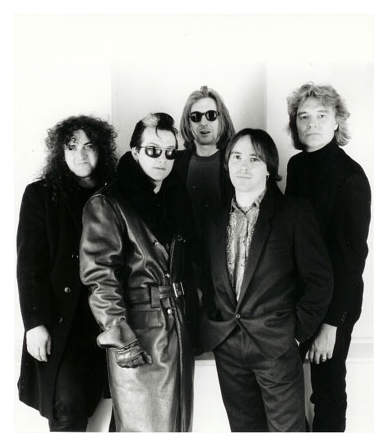 In 1985, the band decided to play up Vanian’s penchant for vampire-esque looks and music. They released Phantasmogoria, noted for its decidedly Gothic sound. The band found success with a non-album release of the single “Eloise” which charted in the UK Top Ten. In 1986, they released the album Anything, a commercial flop as a whole; but one very moody, elegant, and beautiful track, “In Dulce Decorum,” was included on the “Miami Vice II” soundtrack. This was my first introduction to the group, and remains my personal favorite. The group broke up officially after releasing the aptly titled live album recording The Final Damnation. Purchase The Damned music here. You’ve got to love a punk band with a clever name and a hot music catalog. Teenage Head, from Hamilton, ON Canada wins on both counts. It’s an eclectic band that’s fun to listen to and actually spans more music genres than merely punk. 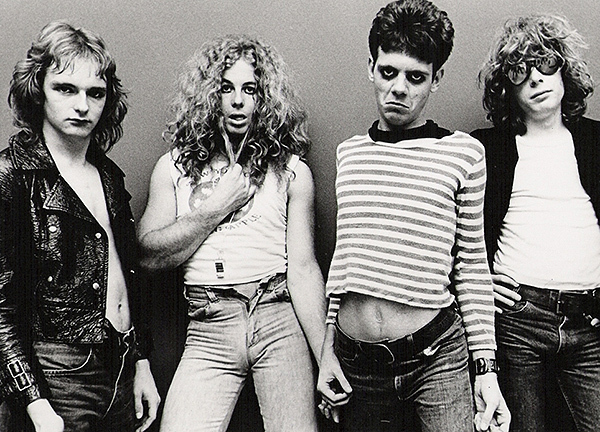 Teenage Head’s founding members were Frankie Venom (who died on Oct. 15, 2008), Gord Lewis, Steve Mahon, and Nick Stipanitz (later replaced by Jack Pedler). They formed in 1975 and released their first single, “Picture My Face,” three years later. Their self-titled album Teenage Head followed shortly after. It wasn’t until the LP Frantic City was released in 1980 that the band became well-known throughout Canada. The album’s success led to gigs in the US, which had to be played without Gord Lewis who was in a serious car wreck just prior to the tour. He was temporarily replaced by David Bendeth. 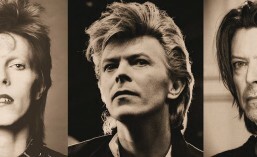 The next album, Tornado, was released in 1983 and came with its own bit of controversy. 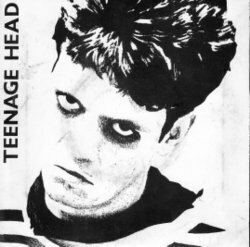 It seems the stuffed shirts at the American distributor took exception to the band’s name and insisted they change it to Teenage Heads. Puhleeze. Teenage Head acquiesced, and the album would spawn their last hit in Canada. In 1985, although plagued with personnel changes, Teenage Head managed to release another album, Trouble In The Jungle. Their final 80’s-era album was titled Head Disorder and failed to produce a single that charted. Be sure to check out this multi-faceted band who deserved much more recognition than they ultimately received. Tight, talented, and at times troublesome (they appeared at a concert in 1978 billed as “The Last Pogo” which ended in a riot) they were certainly capable of world recognition. Although widespread fame eluded them, their worthwhile contribution to 80’s music lives on. Purchase Teenage Head music here. More information on Teenage Head can be found here. Over the past few months here on Rave and Roll, you have read about the criminally underrated group Vis-A-Vis, and lead singer Rude van Steenes (“Angelic Voices Part II”). Today, it’s my pleasure to bring you an additional piece of related history: ARSON. Deep gratitude to Rude van Steenes who graciously allowed me to use the biographical information that he provided, much of it in his own words. ARSON began its foray into the Toronto (and beyond) punk scene in the summer of 1977. Drummer/vocalist/composer Rude van Steenes morphed into Rudi Tuesdai and, along with an eclectic mix of acquaintances, recorded an original french punk song he wrote called “je tenais” (I’m fed up). Recorded live onto a TEAC 4-track reel-to-reel, the song was a spare mix of guitar, drums, bass, and vocals reminiscent of one of Tuesdai’s early influences, the MC5. Unfortunately, a self-proclaimed“manager,” claiming to have contacts, took the master tape presumably to make dubs to shop around, and promptly vanished. Shortly after, Tuesdai had the good fortune to meet up with Marcel La Fleur. The match produced lyrics by Tuesdai, music by LaFleur, and a friendship that would last more than 30 years. They picked up bassist Crazy Alex and a drummer named Gary and began rehearsing in the back of a junk shop/former theatre (The Rose) on Queen and Bathurst, Toronto that had burned out long ago. It was dirty and dark with two light bulbs hanging on frayed wires from the ceiling, but it provided then with the necessary and vital place to hone their craft. 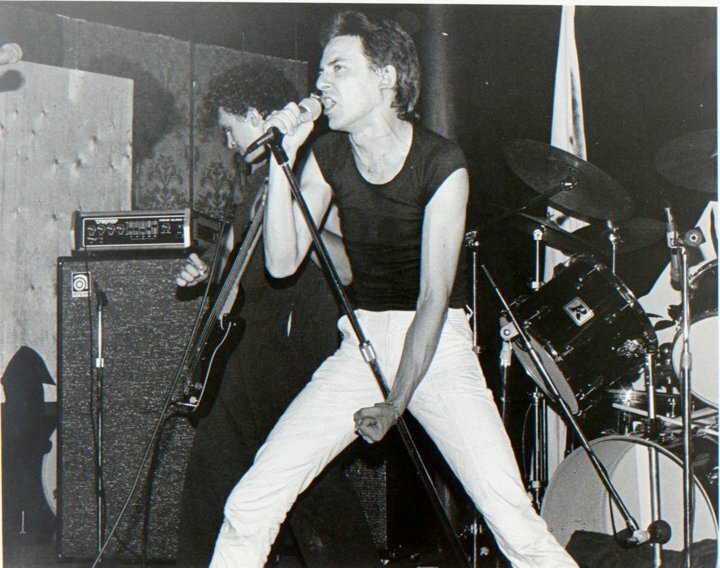 Late Spring of ‘78 saw their first live show guesting at the local start-up for most bands called The Turning Point. That was followed by opening stints for The Ugly and later, The Viletones. At that particular show, ARSON played with such intensity, the capacity crowd gave them 3 rousing encores. 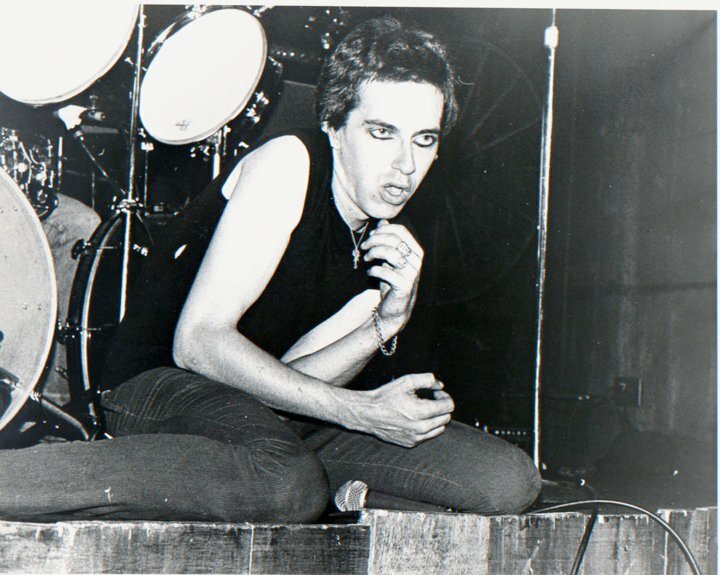 Two weeks later, the Garys offered them The Dead Boys shows at The Horseshoe along with friends, The Demics, from London. During that period, ARSON shows consisted of 12 original songs and a few select covers, with their opening signature being The Stooges’ Raw Power. 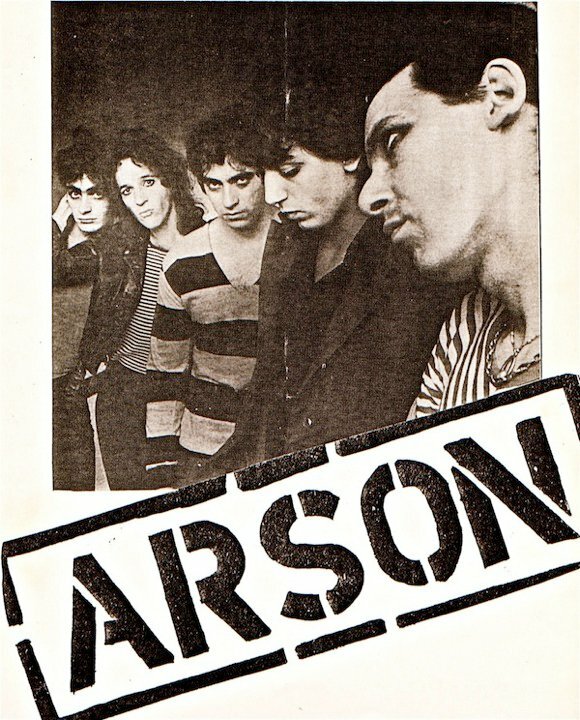 ARSON material was socially motivated and influenced by the likes of American forerunners The MC5, The Stooges, Velvet Underground/Lou Reed, New York Dolls, Television, Richard Hell, etc., and from overseas, early versions of The Animals, Rolling Stones, The Clash, The Vibrators, John Cooper-Clarke, The Stranglers, The Cure, and Chris Spedding. Other covers ARSON performed live were The Animals’ We Gotta Get Out of This Place, The Kingsmen’s Louie, Louie, and The Dolls’ Vietnamese Babies. ‘It was at Mother’s in Chicago that the band took the stage to cries of what they thought were “GO HOME, GO HOME”. What didn’t fit was the cheering and applause after every song. Later on they discovered it wasn’t “GO HOME” but, “COHO” the crowd of rabid maniacs was screaming. ARSON was gaining serious traction in America, actually breaking even or better, and promoting/booking themselves at sold-out venues as they went along.This was amazing for a band with no financial backing or a recording contract. ARSON recorded their first single Livin’ With The White Folks B/W Coho COHO at Cottingham Sound in Toronto, in the Fall of ’79. They self-produced and financed approximately 1,000 copies which promptly sold out. A mini-tour followed with dates in Toronto (Rock Palace) and a 10 day promotional jaunt to New York City where the band played dates at Max’s Kansas City, Stickball, and Club 88, as well as being guests of The Plasmatics at a Long Island gig on Halloween. Return dates in Toronto at ‘The Horseshoe’, ‘Hotel Isabella’ and ‘Larry’s Hideaway’ to promote the single’s release followed before the band decided to take a well-deserved break. In 1980, ARSON continued to make the rounds at various local clubs before going back into the studio to record a cover of The Animals song, We Gotta Get Out of This Place for the No Pedestrians compilation on Chameleon Records. The album was released in July and was critically acclaimed as one of the best compilation albums highlighting the ‘new’ music. Unfortunately for this version of ARSON, undoubtedly the best, this would be the end of a successful run. We’ve been working on arrangements and new material for a while now. Everything is moving nicely through the planning stages and everything sounds fresh and alive. The best part of our writing and friendship is that we’re like two kids getting excited and having fun being creative! ARSON was a special project for me as it was my first foray into lead vocals and being stage front as opposed to hiding behind a drum kit, my first instrument. For Marcel, it was his very first real band. Lucky for fans of the original punk and post-punk scenes, ARSON is rising from the embers that never stopped glowing. For more information, and to listen to some great tracks, check them out here. Also, contact Rude van Steenes via Facebook here.